Oil industry Archives - Africa M.E. After the rollout of a $1 billion cleanup plan for Ogoniland, Nigeria–a region that has been severely damaged by the oil extraction industry–Nigeria’s state-owned petroleum corporation has voiced its support for environmental reform within the sector. Nigeria is Africa’s largest producer and exporter of crude oil, and is estimated to have one of the world’s largest oil reserves. Unfortunately, Nigerians have yet to reap the benefits of such a potentially lucrative industry due to historically lax regulations. Nigeria has not been a competitive operator in the oil industry due to its historically bad practices, such as lack of oversight in production, virtually non-existent environmental regulations and not infrequent oil spills. In early June 2016, Nigerian Vice-President Yemi Osinbajo set a $1 billion project to clean up Ogoniland, a part of the Niger Delta that has been intensely contaminated by the oil extraction industry. Following the example of the federal government, The Nigerian National Petroleum Corporation (NNPC) has decided to voice its concern for Nigeria’s environment as well. Following the federal roll-out of the massive internationally-funded cleanup plan, the NNPC announced their intention to reform the oil sector, although did not provide any details on how this would be done. The NNPC did, however, encourage members of the corporation to support conservation centres and parks. 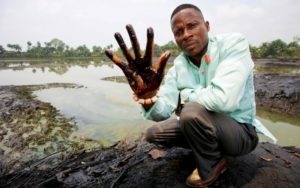 Following an expansive 2011 study by the UNEP on the impact of oil extraction in the Niger Delta, Nigeria has been in the spotlight as one of the industry’s worst environmental offenders. The report found severe and widespread contamination of groundwater and soil across Ogoniland. In a number of areas, public health was compromised through contaminated drinking water and the presence of unnatural levels of certain carcinogens associated with oil extraction. Ecosystems unique to the delta region, such as mangroves, have been decimated by the virtually unregulated operations of the petroleum industry. All of the report’s findings pointed to a lack of institutional control within the oil industry and within the regulatory systems of the government. The report recommended that an initial investment of $1 billion would be needed to begin the restoration process. It has taken more than five years to establish the infrastructure and amass the funding necessary to begin what is considered the “world’s most wide-ranging and long-term oil cleanup exercise ever undertaken,” but the project is finally underway. Experts estimate that it may take up to 25 years to restore the Ogoniland ecosystem to its pre-contamination status, but that such a long-term commitment is the only way to reverse the damage caused to the region. A cleanup is a good place to start, but in order for the $1 billion investment to really contribute to positive change, a complete overhaul of Nigeria’s oil industry is vital. Recognizing its role in the project, the NNPC announced its “20 Fixes” plan, aimed at reforming the chronically mismanaged oil industry. Among these “20 Fixes” were goals such as reducing and auditing costs, restructuring corporate centres and staffing, renegotiating existing contracts, unbundling the Nigerian Gas Company and improving information technology, among others. Reducing environmental impact was, surprisingly, not among these 20 top-concerns. Following the announcement of Ogoniland project, however, the NNPC voiced its support for the project, encouraging its workers to support environmental conservation, and committed to improving its environmental protection policies. A concrete plan to turn verbal commitments into action has yet to materialize. Kachikwu pointed to the Lekki Conservation Centre, established in 1990, as an example of its commitment to conservation efforts. The NNPC claims that, with the support of Chevron Nigeria and others, it has contributed to the creation of the 78-hectare conservation centre, although no evidence for that is available. This is not to say that the NNPC is not making a positive change, because it is. Recently appointed Managing Director Dr. Ibe Kachikwu has been hard at work to bring transparency to one of the world’s murkiest oil production lines. The World Bank, which committed more than $1 billion to a variety of projects in Nigeria for 2016, applauded the efforts of Dr. Kachikwu for the initiatives outlined in the aforementioned “20 Fixes.” Dr. Kachikwu urged the World Bank to offer additional support for an institutional framework “and training for the ministry and NNPC, [because] the training would provide the necessary skill sets that are required to grow Nigeria’s oil and gas industry.” With such financial support, the NNPC may be able to make the reforms necessary to clean up its act. After decades of mismanagement, Nigeria’s oil industry may finally be at a turning point. Under the new direction of Dr. Kachikwu, the NNPC may be able to institute real, positive change that will make the cleanup efforts long-lasting. It is only with the moral and financial investment of the oil industry that the environment can be protected. Ogoniland will not be restored overnight, and it is of the utmost importance that the oil industry do its part to ensure it does not simply move the problem elsewhere. 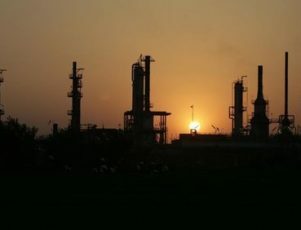 CAIRO (Reuters) – Egypt’s state-owned Middle East Oil Refinery Company (Midor) has signed an initial loan agreement with three banks for $1.2 billion, the state news agency said on Tuesday. 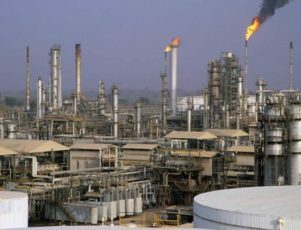 The loan represents around 80 percent of the cost of its $1.4 billion Alexandria refinery lab expansion, while the remaining $230 million will be self-financed, Midor Chairman Mohamed Abdel Aziz said. The agreement was signed by Abdel Aziz with the heads of a banking consortium that includes French banks Credit Agricole and BNP Paribas and Italy’s CDP. The expansion at Midor aims to increase the company’s refining capacity to 160,000 barrels per day (bpd) from 100,000 bpd. Egypt has struggled with soaring energy bills caused by high subsidies it provides on fuel for its population of more than 80 million. Why Would Saudi Aramco Consider an IPO? Many are asking why the royal family would consider selling shares in its largest asset, especially when it’s at its lowest point since 2004. The complete control of Saudi Arabia’s oil is in large part the source of the government’s power and success. Some have suggested that Aramco has predicted the end of the age of oil, and that the Saudi’s are looking to cash out while they can. But, on the other hand, it could be more linked to the Kingdom’s politically and economically challenging time. Oil income makes up about 90% of government revenue, but with crude oil prices at their lowest levels in over a decade, the Kingdom is losing billions of dollars in revenue. And while it is sitting on around $630 billion in reserves, Saudi Arabia’s 2015 budget deficit was 15% of GDP, and a record budget deficit of $98 billion is expected in 2016. Also, instead of slowing production to increase oil scarcity, as has so often been Saudi Arabia’s tactic, last year, Aramco pumped a record 10 million plus barrels a day to compete with the US and Russia. The strategy cost Saudi Arabia around $120 billion of its foreign currency reserves. And the Kingdom is starting to struggle to maintain its expensive military campaigns in Yemen and Syria, and to manage the resulting clashes with Iran. The country is also facing high unemployment, currently at 12%, and a demographic bulge, which counts more than two thirds of the population under the age of 30. The bulge will require almost three times as many jobs in the coming decade than were created between 2003 and 2013 during the oil boom if the country is to avoid soaring unemployment and increasing the volatility of the political environment. So as its most valuable asset shrinks, the Kingdom needs to find a way to diversify its economy in order to improve its long term economic capabilities. Working with McKinsey, Saudi Arabia has developed long term path that involves pushing $4 trillion into eight new sectors (finance, construction, healthcare, tourism and hospitality, retail and wholesale trade, petrochemicals, manufacturing, and mining and metals) to contribute 60% of growth. However, it seems likely that adding value across all of its oil related actions and managing its hydrocarbon resources, both conventional and unconventional, would also be part of the plan to prepare Saudi Arabia for financial and economic stability. It would also signal to Iran, the US, and Russia that Saudi Arabia is in the oil-game for the long-haul. 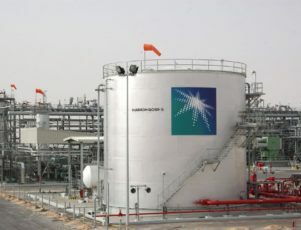 But, it does seem more likely that Aramco will offer a small portion of downstream assets – a bundle of refineries or other assets such as petrochemical units – in order to allow the state to retain full control of its oil fields which produce more than 10 million barrels a day. Although significantly less valuable than a full IPO, downstream assets would still offer buyers a piece of a huge global business which processes more than 3.1 million barrels a day, with plants across the world in Saudi Arabia, the US, South Korea, Japan, and China. Looking at a full IPO, the valuations are simply enormous. Based on claims that the company’s reserves are 265 billion barrels of crude oil and 50 billion barrels of natural gas, its market capitalization is estimated to be $10 trillion. This would make it significantly bigger than the world’s current most valuable company, Apple, worth $741.8 billion. It would also make Aramco significantly more valuable than ExxonMobil, the world’s current most valuable publicly traded energy company at $357.1 billion. Even a listing that included just 5% of Saudi Aramco shares could raise around $500 billion, a figure far larger than Alibaba’s history topping $170 billion IPO of 2014. It would also make it too big to be included in Saudi Arabia’s stock market, the Tadawul. The listing fees for the bank taking a company of this size public would also be huge, and there are already reports of strong competition for the role. HSBC, Citi, Barclays, Bank of America Merrill Lynch, and Deutsche Bank hold the biggest market share in the Middle East and Africa, making them likely contenders. Citi and Deutsche Bank have also already worked on deals with Saudi Aramco. But we’ll have to be patient until we can find out which bank is set to make a figure of around $17.5 billion working on the deal. 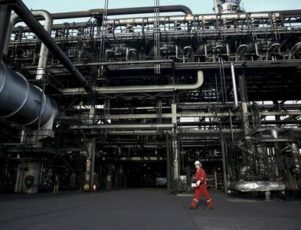 SINGAPORE (Reuters) – Brent crude prices fell to levels last seen in 2004 on Monday, dropping below the lows hit during the 2008 financial crisis on renewed worries over an oil glut. Global production remains at or near record highs and new supply looms from the Iran and the United States. Crude markets are also under pressure following last week’s U.S. interest rate hikes and on signs of growing U.S. stockpiles even as more drilling rigs are deployed. Brent futures fell almost 2 percent and as low as $36.17 per barrel on Monday, the weakest since 2004 and below the $36.20 low reached on Christmas Eve 2008 before edging back to $36.42 at 0620 GMT. Prices are still down 46 cents from their last settlement. U.S. West Texas Intermediate (WTI) futures were down 24 cents at $34.49 per barrel and close to last Friday’s 2015 lows. Both benchmarks have fallen more than two-thirds since mid-2014 when the rout began. An unexpected gain in the U.S. oil rig count – by 17 to 541 – and the strength in the U.S. dollar following last week’s interest rate hike, which makes oil more expensive for countries using different currencies, all weighed on crude prices, said analysts. The U.S. glut adds to global oversupply as the main producers, including Russia and the Organization of the Petroleum Exporting Countries (OPEC), pump hundreds of thousands of barrels of crude every day in excess of demand. Russian production has surpassed 10 million barrels per day (bpd), the highest since the collapse of the Soviet Union, while OPEC output also remains near record levels above 31.5 million bpd. OPEC leader Saudi Arabia upped production from 10.226 to 10.276 million bpd between September and October. Iraq’s oil minister Adel Abdul Mahdi told Reuters over the weekend that OPEC would stick to its Dec. 4 decision to not limit production despite the drop in prices. “OPEC can’t take a unilateral decision, for example, to cut production and others … raise production,” he said. More oil becoming available soon will add to the glut, with Iran hoping to ramp up sales in early 2016 once sanctions against Tehran are lifted. Iran will export most of its enriched uranium to Russia in coming days as it rushes to implement a nuclear deal and secure relief from international sanctions, Tehran’s nuclear chief was quoted as saying over the weekend. This comes only days after the U.S. voted to lift a 40-year-old ban on crude exports which could see some production released on the global market. 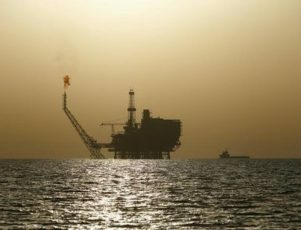 CAIRO (Reuters) – Egypt has awarded four new licences to explore for oil and gas off its Mediterranean coast, weeks after ENI’s giant Zohr gas find piqued fresh international interest in the area. 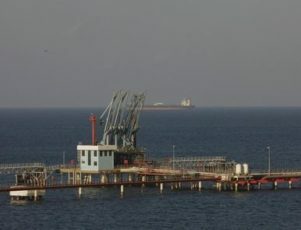 Egypt’s state gas company EGAS said in a statement it had awarded one licence to Britain’s BP and one to Italy’s Edison. 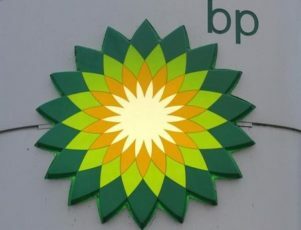 A consortium involving BP and ENI’s Egyptian subsidiary had also picked up a bloc as had another consortium involving ENI, BP and France’s Total. ENI announced in late August that it had discovered the largest known gas field in the Mediterranean off the Egyptian coast, predicting that the find could help meet the country’s energy needs for decades to come. 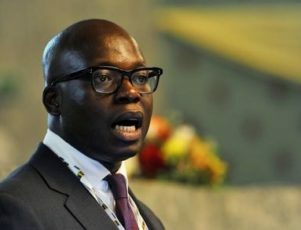 LONDON (Reuters) – Nigerian-based oil producer Oando wants to double its oil output by 2019, targeting assets likely to be shed by majors hit by the crude price drop. Chief Executive Wale Tinubu told Reuters in an interview on Monday the retreat among the world’s major producers from the onshore Nigerian oil industry would likely leave a lot of assets on the market. “When you compare the size of the resource base (the majors) have in Africa vis-à-vis the rest of the world, it’s clear that they will have to do Nigerian divestments and we are the natural buyer of choice,” he said. Oando, which produces some 50,000 barrels of oil a day, already bought ConocoPhillips’ Nigerian assets for $1.5 billion in July last year, with a view to meeting its target of hitting 100,000 bpd by 2019. “We are driven, we are keen and we are on the lookout for opportunities and we are confident of securing opportunities towards increasing our reserve base and our production,” he said. The price of oil has halved to below $50 a barrel over the last 12 months, as global supply has outstripped demand. “We’re betting on an eventual oil price rise and we see the best time for securing those reserves as being now and not when the market rebounds,” Tinubu said. Nigerian onshore oil projects have been plagued by industrial scale oil theft, security problems and oil spills, the latter having become a growing legal liability for major oil companies. Nigeria is Africa’s largest oil producer and contributes some 2 million barrels a day to total world supply. 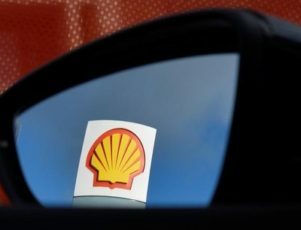 Shell has already sold some of its Nigerian oilfields and said last week it will focus its future investments there on natural gas. Its French peer Total agreed in March to sell a stake in an onshore oilfield to Nigeria’s Aiteo Eastern E&P. 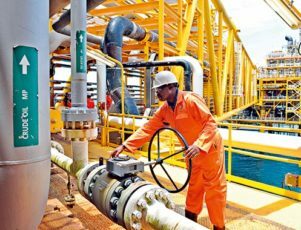 Local oil producer Afren Plc, which went into administration in July, owns oilfields in Nigeria, but Tinubu said Oando was not considering them. “We looked at it but we’re not really interested. It doesn’t satisfy our criteria we believe there are many better opportunities out there,” he said. The President of Nigeria, Muhammadu Buhari, is committed to fighting corruption in his country. On June 26th, immediately after being elected, he ordered the dissolution of the board of the Nigerian petroleum company NNPC. Nigeria extracts two million barrels of crude every day, which makes it the largest producer of black gold in Africa. By attacking the petroleum sector, Buhari made a brave attempt to solve the country’s most serious mismanagement and corruption problem. In 1970s, Buhari was the Minister of Oil and oversaw the birth of the NNPC. Corruption began to spread in the corporation as early as 1978, when it failed to repay the Treasury of Nigeria. Now, the “Father of the NNPC” is determined to put an end to the widespread corruption. He appointed Ibe Kachikwu as the new head of the petroleum corporation to take on this challenge. Kachikwu arrived at the helm of NNPC right after the publication of an independent analysis by the Resource Governance Institute (NRGI). The analysis unveiled that over $32 billion in oil revenue was lost by Nigeria due to money laundering at the NNPC. YAOUNDE (Reuters) – Tower Resources plans to invest at least $43 million over seven years to explore for oil in a shallow-water block in Cameroon’s Rio del Rey basin, the company and Cameroonian officials said on Wednesday. “Our entry into Cameroon marks a shift in our risk profile from frontier to proven basins and introduces an asset with existing discoveries into the Tower portfolio,” Tower CEO Graeme Thomson said in a statement. The Africa-focused oil and gas exploration company has a 100 percent interest in the 119 sq km (46 sq mile) Thali block. Under a production sharing contract signed in Cameroon’s capital Yaounde, an initial exploration phase will last three years with an option to renew for two subsequent two-year phases. Tower has the option of relinquishing the block at the end of each phase, provided the agreed minimum work has been completed. The Rio del Rey basin lies in the eastern part of the Niger Delta and has to date produced over 1 billion barrels of oil, with an estimated 1.2 billion barrels of remaining reserves, according to Tower’s website.